It’s rare that you come across a talented individual like Badri. I have been having the pleasure and opportunity of working with Badri on a very stringent time-bound project for one of the EU initiatives over the last one month. Though we know each other for just over a month, Badri's ability to juggle multiple vendors, sourcing from across the country, ensuring timelines, prompt delivery, crafty workmanship, meticulous detailing and more importantly being at the site like one amongst us have really stumped us. Most appreciable aspect is the collaboration I have with him in terms of project deadline and the way in which he reciprocates. 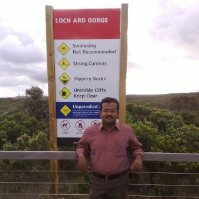 As a team member or a leader, Badri earns my highest recommendation. 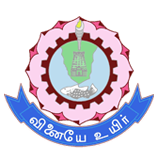 Thiagarajar College of Engineering - Madurai. We entrusted the interior fit - out job of the European Technology Experience Centre (ETEC) for the European Business and Technology Centre (EBTC) to Royale Buildings in july 2014. They completed the job well within the time and budget specified; the quality of detailing and the works are to our fullest satisfaction. Best Wishes to the team of Royale Buildings. Our corporate office at sterling road is very effective in terms of space utilistaion; design, colour scheme and workmanship are truly the best and impressive. Our best wishes to Royale Buildings for creating such quality office with no frills whatsoever.